Joan has directed productions at San Diego Rep, the Alley in Houston, Bloomsburg Ensemble, A Traveling Jewish Theatre, Touchstone Ensemble, Colorado University/Boulder and Dell’Arte. A principal actor-creator with the Dell’Arte Company since its founding, she most recently created the title role in Mary Jane: The Musical at the 2011 & 2012 Mad River Festival and again played the title role in the 2016 film version: Mary Jane: A Musical Potumentary, which won the award for Best Musical Film at the 2016 Oregon Independent Film Festival. Her solo show, Second Skin, has been seen in many US cities and international festivals. She has authored and co-authored many original works for Dell’Arte, including The Weave, Shotgun Wedding, Journey of the Ten Moons, Casanova: Animal Instinct, and the trilogy of Scar Tissue Mysteries. In 2014, she conceived and performed in Elisabeth’s Book, a new touring work for the Dell’Arte Company. Her play about water issues, The Big Thirst, premiered at the 2016 Mad River Festival. 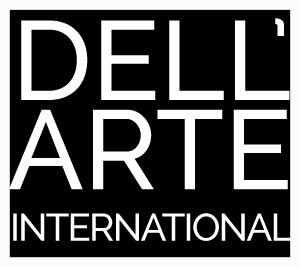 She has a great interest in international exchange and has worked with artists from Brazil, Mexico, France, Scandinavia, and leads Dell’Arte’s annual month-long study trip to Bali. Joan was a featured presenter at the 2013 international conference on Commedia dell’Arte at the University of Windsor, Ontario. In 2016, with support from TCG and the Association of Arts Presenters (APAP), she began a collaboration with Norwegian/Danish sculptor Marit Benthe Norheim, creator of the Life-Boats, three mobile sailing sculptures of three stages of a woman’s life. She received an Orchard Project Residency in 2017 to further develop this project. Her essay on sailing with the Life-Boats is published in Norheim’s book From Dream to Dream, a chronicle of the 8-year project to create the boats. Joan is currently working on an opera related to the life and work of American painter Morris Graves; in March 2018 she was awarded a 3-week residency by the Morris Graves Foundation at his last home, “The Lake,” in Loleta, CA. In November 2018 she presented a collage of readings from Selected Letters: Morris Graves (University of Washington Press), at 3 local venues, and this year she begins her collaboration on the chamber opera with composer Gina Leishman, funded by a grant from Opera America. Joan designed the curriculum for DAI’s accredited MFA in Ensemble-Based Physical Theatre, now in its 14th year, and is one of the School’s Master Teachers. She is a senior teacher of the FM Alexander Technique and was a plenary speaker for the 11th International Alexander Technique Congress in Chicago, 2018. Her teaching work includes movement, mask performance, commedia dell’arte, voice, and physical acting. 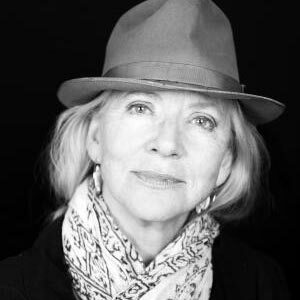 She has devoted her research to the work of the actor as mover/creator. Joan has taught in MFA programs at Yale, UCSD, University of Missouri Kansas City, as well as for the artists of Cirque du Soleil. In December, 2012, she was invited to teach physical theatre at the Beijing Dance Academy in China. Her essays have appeared in Movement For Actors (Allworth Press), Theatre Topics Devising Issue, and the 2015 anthology, A Routledge Companion to Commedia dell’Arte. The 2018 Routledge book, Physical Dramaturgy: Reflections From The Field (ed. Bowditch, Casazza, Thornton) includes her reflections. She is a member of Actors Equity Association, Voice & Speech Trainers Association (VASTA), TCG, and the Association of Theatre Movement Educators (ATME). See also her TCG blog post, “Space, Scale, Relationship: Writing For The Physical Theatre,” on the 2014 making of the Dell’Arte Company’s Elisabeth’s Book.